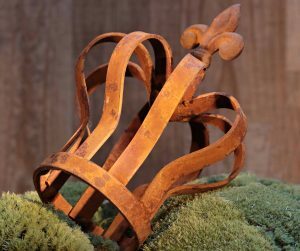 The legendary Iron Crown was now just rusted metal. He pushed aside the rubbish on the floor and picked it up. It was still surprisingly heavy. He turned it over in his hands and even though it was so decayed he could feel the power in it. It was heavy with more than the physical iron. Centuries of being the loadstar for every ambitious heart had left their mark. Had it been worth it? Had all the scheming and plotting been worth the pain? Had the brief season of rule been worth rending the world apart. He glanced through the gaps in the ruined castle walls. The sun was getting lower. He had to leave before night fell and the Dark Ones walked.